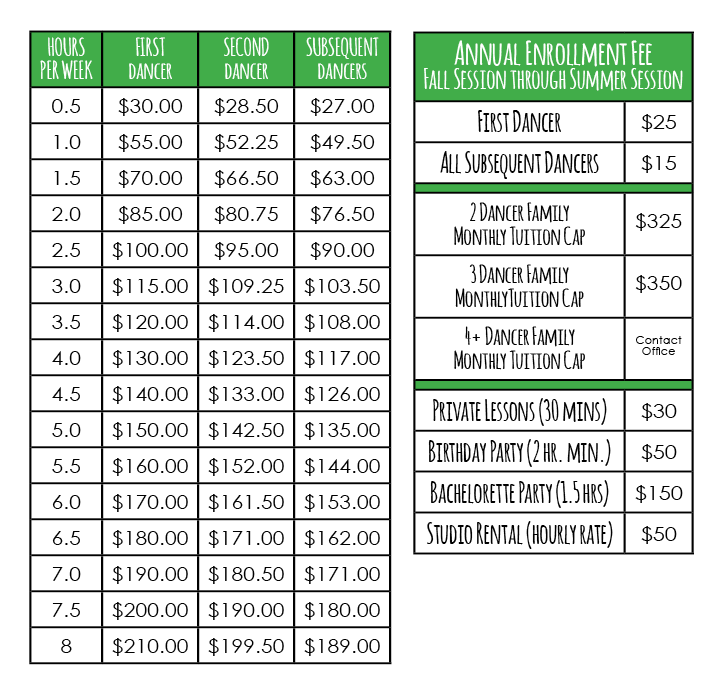 This fee schedule applies to all Dance/Tumbling/Gymnastics/Aerial Silks classes. Dance and Gymnastics/Tumbling classes are billed separately from each other and not subject to pro-rating. Pro-rating will apply only to similar classes. Aerial Silks is a specialty class; there is a $10/month surcharge.